IDEAAS (Portuguese acronym for Institute for the Development of Alternative Energies and Self-Sustainability, in free translation) and Instituto Peabiru present the Light for a Better Life program, supported by C.S. Mott Foundation. This initiative is dedicated to serving social groups with low-income and a high level of energy exclusion. The partnership also involves GEDAE, a study group for the development of alternative energies from the Federal University of Pará – UFPA; MMIB, a Women’s Movement from the Belém Islands; and the local church – Parish of St. Francis of the Islands. Today solar panels that generate energy for the lighting of houses can be seen along the Jamaci River. Community Nossa Senhora da Conceição, Paquetá Island, Belém, PA. July 2017. Photo: Rafael Araujo. Light for a Better Life begins with the installation of autonomous energy service systems for 22 homes and a religious center in the Nossa Senhora da Conceição Community, Ilha de Paquetá, Belém. The site was chosen based on research conducted in 2014 by Instituto Peabiru by recommendation of MMIB, which highlighted the vulnerability of these families in terms of energy insecurity. The technology installed to light these residences is what IDEAAS calls the “bakana solar” kit. This kit has been prepared to meet local demands for: 1. basic residential lighting; 2. cellphone charging; and 3. bulb to keep bats away (lit all night). These are simple solutions, but with a high impact on the families’ quality of life. Control box, containing the battery of the “Bakana Solar” Kit, installed inside a residence in the in the N.Sra.da Conceição Community, Belém, PA. July 2017. Photo: Rafael Araujo. “The ‘Bakana Solar’ kit is the result of two decades of research and development of energy solutions of low cost and easy installation, mainly directed to isolated rural populations”, says Fabio Rosa, from IDEAAS. The project innovates by proposing a condominium to promote self-management of the system. Thus, each beneficiary contributes a small monthly amount, which is kept by a person chosen by the community. The idea is to gather funds to finance the exchange of batteries scheduled for every 2 or 3 years, and for eventual maintenance (exchange of lamps, fuses, etc.). The life expectancy of the solar panel is two decades. Another concern of the Light for a Better Life is to seek the greatest possible autonomy of the installed systems. Thus, one of the actions is to train local actors for technical support, which stimulates the development of the local productive chain of sustainable energies. Local family demonstrates the operation of the “Bakana Solar” kit. Notice the control panel to the right. 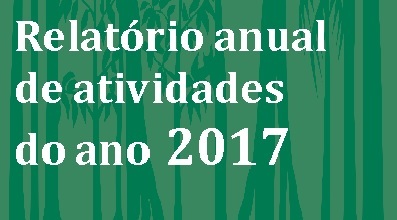 Community N.Sra.da Conceição, Paquetá Island, Belém, PA. July 2017. Photo: Rafael Araujo. Light for a Better Life demonstrates that it is possible to meet basic energy needs of those not currently contemplated by public policies, such as the federal program Light for All. In the Brazilian Amazon alone, there are more than 1 million families in rural areas, mainly from traditional peoples and communities. Most suffer from a high degree of energy exclusion. This has serious consequences for their lives, especially for the most vulnerable groups – children, young people and women – in terms of health, education and income-generating opportunities, not to mention access to basic items of modern life such as refrigerator, television, telephone and computer. Ms Maria at the door of her home, next to the solar panel, among the açai trees. Community Nossa Senhora da Conceição, Paquetá Island, Belém, PA. July 2017. Photo: Rafael Araujo. Click here for information about the project in Portuguese. Click here to watch a vídeo about the project (with English subtitles).